Joel’s Bar proudly offers handcrafted cocktails that are affordable - a rare combo. 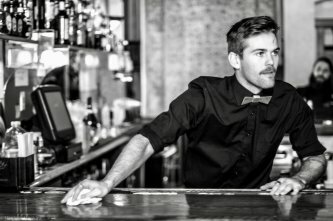 Because of the diverse crowd that Joel’s brings in, maintaining an affordable menu is one of the main prioritizations, making sure to give Durango high quality cocktails made with nothing other than top-shelf ingredients. Take a look at the list of weekly events so you know when the best deals are! With nights like Industry Night, Pitcher Night, DJ dances, and College Night, there’s bound to be a night of the week you and your friends will be going to Joel’s. Looking for an afternoon cocktail? How about a late-night DJ and a dance party? Whatever you fancy, Joel’s delivers. Top-notch martinis and high-scale cocktails that won’t break the bank are offered right upon opening to provide a classy and sophisticated meet-up spot for afternoon drinks. After the sun goes down and the weekend arrives, Joel’s transforms into an alternate type of meet-up spot: the party place fully equipped with DJ’s and drinks to dance the night away. Not only is Joel’s Bar the place in town for quality cocktails and a quality time, but the space, bartenders, and DJs are available to host private parties. 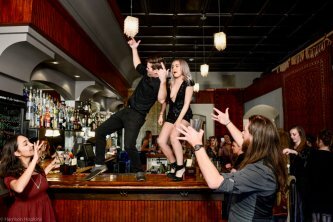 If you, your friend, or your company is looking to host a party to let loose and bust a move, Joel’s Bar is the ideal space to host your event and create that good-time feeling.